Here at Clapham Carpet Cleaners we are the experts for carpet cleaning in the SW4 area. If you want results overnight that make your carpet shine, you’ve come to the right place. We understand that having clean and presentable carpets is not only important in making homes feel welcoming, but it is also important in taking care of your family’s health and hygiene. That is why we are committed to giving you the best results possible. You can call us anytime on 020 3744 6545 for more information or a free consultation. We have a solid reputation in Clapham so it wouldn’t surprise us if you’ve already heard about us from a friend or neighbour in the area! We have a high standard of work ethos and values that we uphold. We have years of experience in carpet and rug cleaning business which is why you won’t find a better Clapham carpet cleaning company in the SW11 region. Our staff members are highly trained and commit to a thorough standard of professionalism when dealing with our clients. This means that you will feel appreciated and valued throughout the carpet cleaning process and you will certainly be satisfied with the results at the end. We strive for positive customer service feedback and we are always hopeful that at the end of our service you will be happy to recommend us to your friends, family, and neighbours. We treat every client as an individual so that we can give you the best results possible. Call 020 3744 6545 now and book an appointment! 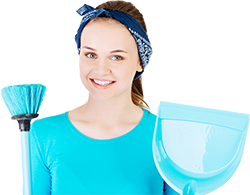 Want More Information on Our Eco-friendly Clapham Cleaning Services? As we care for your carpets and bring life back to the floors in your home, we also care for the environment at the same time. We are well attuned to Mother Nature and understand the importance of using eco-friendly cleaning products. We have scientifically proven environmentally sustainable cleaning products that our experienced carpet cleaners Clapham use. So you can rest assured that as we are taking care for your home, Clapham carpet cleaning company is taking care of the planet. Are You Interested in Our Clapham Cleaning Company? We have a wide range of services from Clapham steam carpet cleaning to dry carpet cleaning. We can accommodate any cleaning needs you require. Our experts at Clapham Carpet Cleaners can tailor make a cleaning package to suit your needs. Even better, we let our loyal customers know about exclusive offers when they come up. So if you live in Clapham, SW11, we are the best carpet cleaners for you to call for all your carpet and rug cleaning needs. Our customer service team members are available for you to chat to about our range of services within business hours. We believe that there is no such thing as stupid questions so you can feel free to ask us anyth ing about our services and team. We won’t let you down. Book Clapham Carpet Cleaners Today! Contact us on 020 3744 6545 today and talk to an expert. We are here to listen to your individual needs and we have a no obligation required policy when you call us up. Here we put customer first in the SW4 area and we value your input, questions, and feedback throughout the entire carpet cleaning process. So don’t hesitate to call us today and find more about our great Clapham carpet cleaners services!